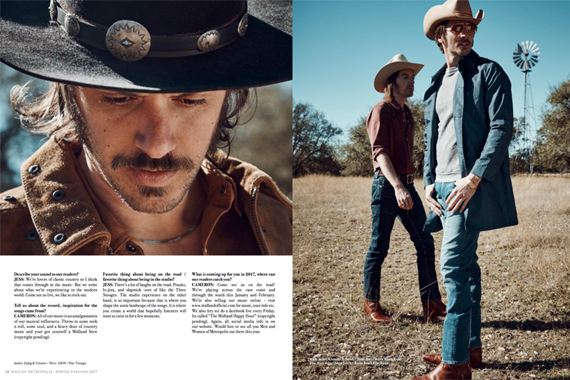 Big Machine Label Group’s up-and-coming trio, Midland, has been featured in a six-page spread for Man of Metropolis magazine, based out of New York. 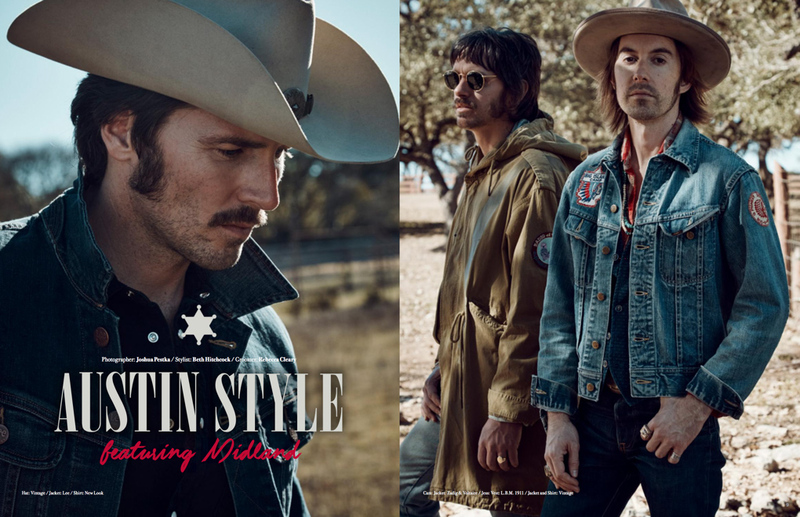 The men’s lifestyle magazine spread, titled “Austin Style featuring Midland,” was shot in Dripping Spring, Texas, in early January at Midland bass player Cameron Duddy’s farm with photographer Joshua Pestka. 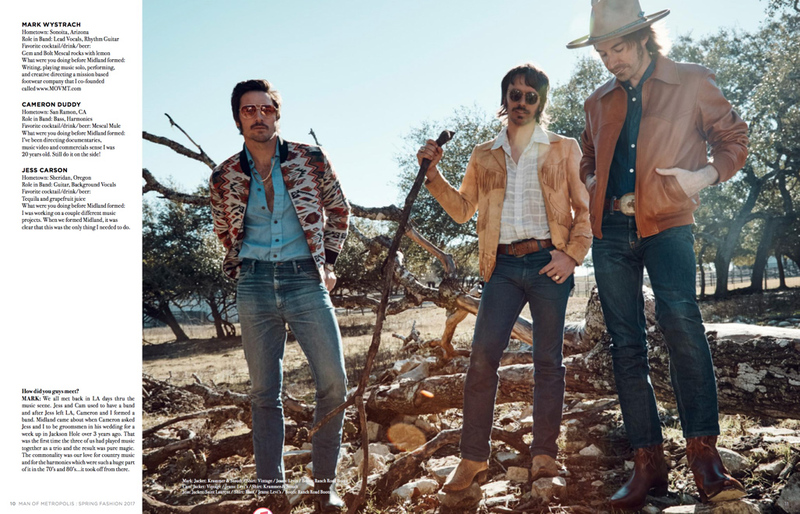 Duddy, a California native joined with lead vocalist and Arizona-native Mark Wystrach and Oregon-native Jess Carson to form the band, now based in Austin, Texas. 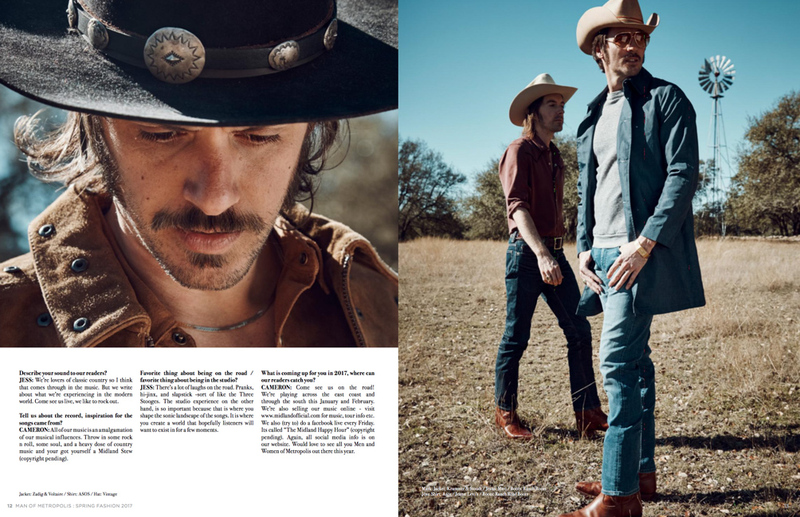 Midland will be releasing their first single, “Drinkin’ Problem,” to country radio on Feb. 27, written by Midland along with Shane McAnally and Josh Osborne. 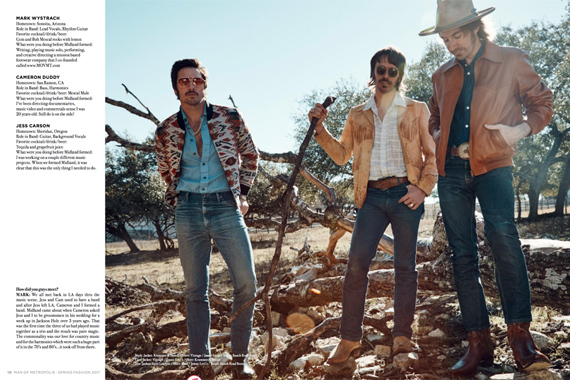 McAnally produced the band’s five-song, self-titled EP—released in October—alongside Dann Huff. 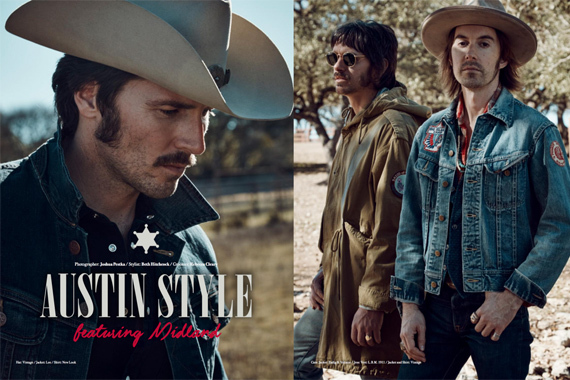 The trio has been announced in the lineup for BMLG’s Country Radio Seminar luncheon, Friday, Feb. 24.